Installers of commercial coffee machines in West Lothian for Livingston, Bathgate, Whitburn, West Calder, Linlithgow, Broxburn, Winchburgh and Armadale as well as Balerno, Juniper Green and Dalkeith in Midlothian. 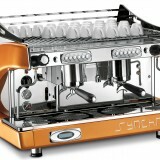 We supply and install espresso coffee machines, coffee grinders, filter coffee machines and bean-to-cup coffee machines. 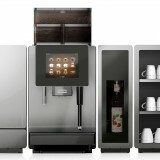 We offer an extensive range for restaurants, coffee shops, hotels or golf clubs from leading manufacturers like Jura, Franke, La Cimbali, Bravilor and Fracino as well as coffee vending machines for offices. One popular coffee machine is the Jura Giga bean to cup machine, a Swiss coffee machine that is ideal for both office coffee service and foodservice applications serving up to 200 cups per day. With the Jura Giga X3 for example you have an excellent range of speciality coffee drinks made from coffee beans and fresh milk and also a 3 year parts and labour warranty. 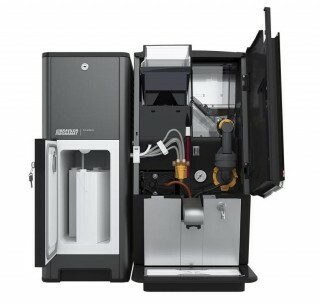 Talk to us about the exciting Franke A600 FoamMaster, a heavy-duty bean-to-cup coffee machine which we now have in the University of Edinburgh departments – you can see this at the top of the page. As well as coffee machines we offer a wide range of filter coffee sachets, Fairtrade coffees, espresso coffee beans, teabags, hot chocolate sachets, sugars, crockery and coffee machine cleaning materials. 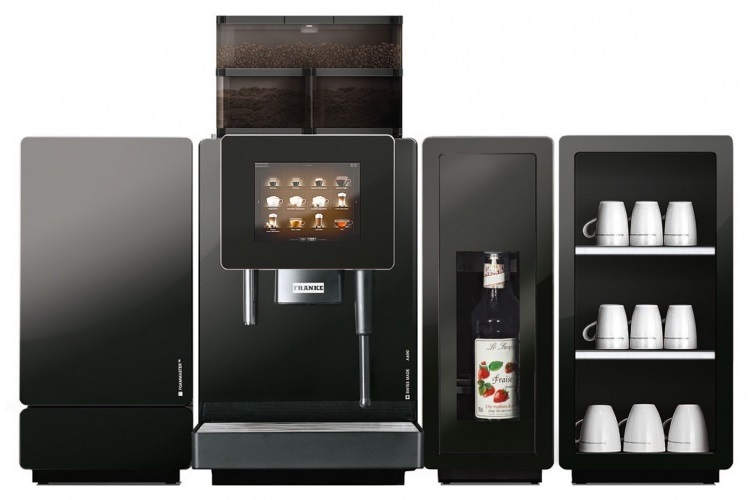 Suppliers of Coffee Machines In West Lothian for offices, farm shops, hotels and restaurants. Suppliers of commercial and office coffee machines East Lothian for Musselburgh, Tranent, Haddington, North Berwick, East Linton, Gullane, Dunbar, Gifford, Aberlady and Longniddry. We supply and install filter coffee machines, 2 group and 3 group espresso coffee machines, coffee grinders and bean-to-cup coffee machines; do you work in a restaurant, coffee shop, hotel or golf club? We offer an extensive range for these types of outlets from leading manufacturers like Jura, Franke, La Cimbali, Bravilor and Fracino. Installers of industrial coffee machines Edinburgh and the Lothians area, call us on 0131 526 3217. Our range includes industrial filter coffee machines, traditional espresso coffee machines, 3 group espresso machines, coffee grinders, La Cimbali and Franke bean to cup coffee machines, and bulk brew coffee machines for hotels, restaurants, caterers, hospitals and university sites in Edinburgh. 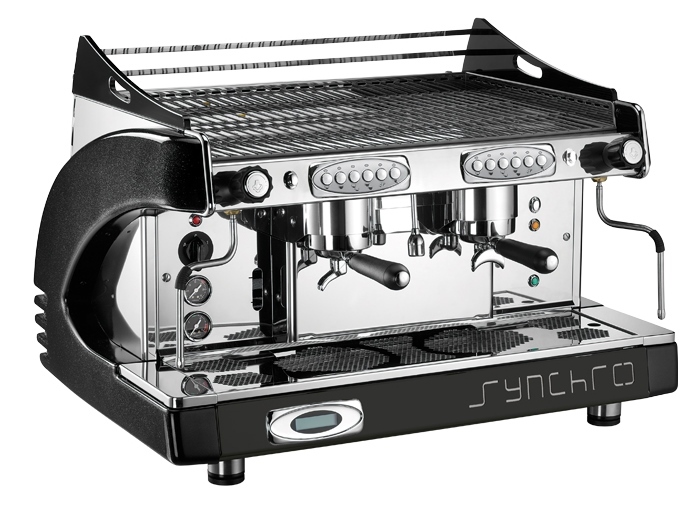 Shown below are the rugged and the popular Royal Synchro 2 group espresso machine in metallic black, these are also available in white, red and orange and normally paired with a Macap MXA auto grinder. The Swiss-made Jura Giga X3 and X8 Speed range of premium bean to cup coffee machines are some of our favourite professional coffee machines. 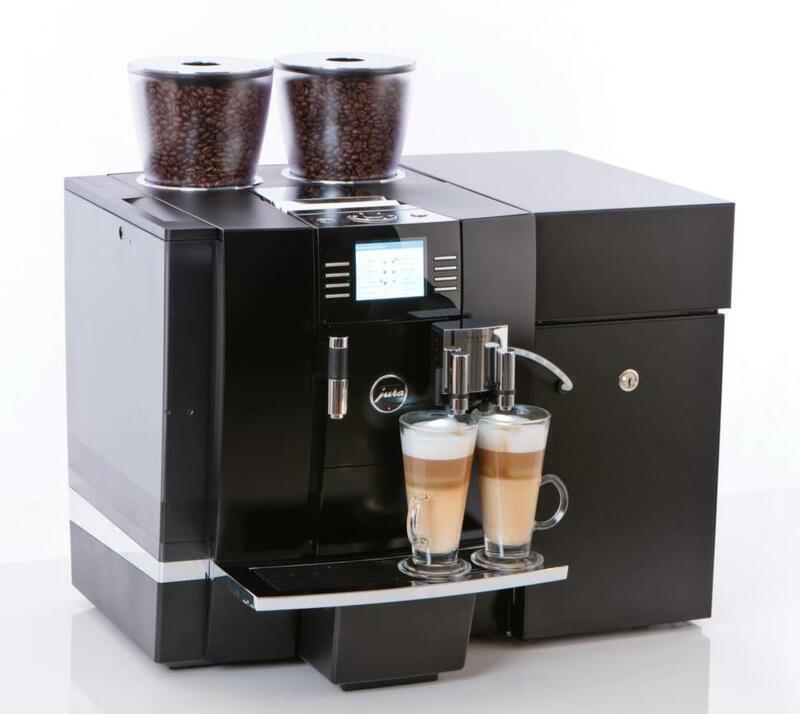 The Giga X3 has an excellent range of speciality coffee drinks made from beans and fresh milk and also comes with an industry-leading 3 year parts and labour warranty. Talk to us about the exciting new Franke A600FM FoamMaster bean-to-cup self service industrial coffee machine; a heavy duty Swiss machine which we have installed in the University of Edinburgh with an intuitive touch screen offering cappuccino, caffe latte, flat white, espresso and delicious hot chocolate made with fresh milk for demanding sites serving up to 300 cups per day. We can help with your needs for both coffee machines for offices Edinburgh or coffee and consumables from our wide range of 16 prime coffee beans and filter coffees, teas and hot chocolates. Contact us to discuss your needs or visit our Falkirk coffee machines showroom. Expert installers of industrial coffee machines Edinburgh & Lothians with full barista training and a wide range of coffees. We’re a family-run coffee business supplying commercial coffee machines Lanarkshire; please call us on 0141 428 3995 to discuss our espresso coffee machines and bean to cup automatic coffee machines and range of fresh coffees in Motherwell, Hamilton, East Kilbride, Uddingston and Coatbridge. Please be free to contact either our Glasgow office or Falkirk coffee machines showroom. 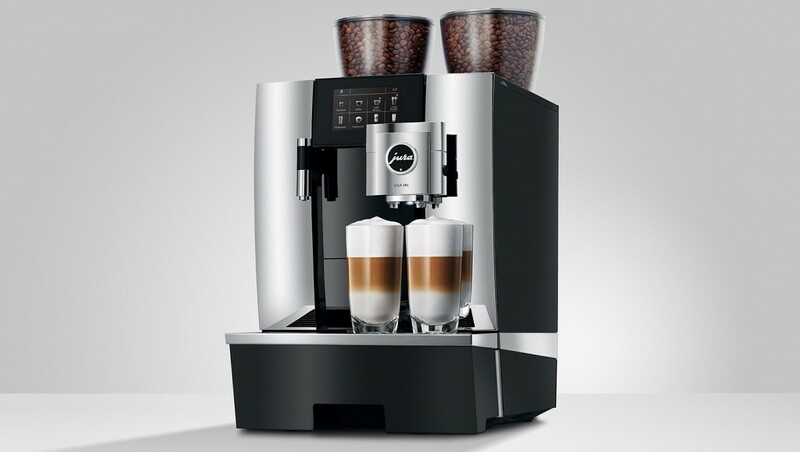 The Jura Giga X3 bean to cup automatic coffee machine has an excellent range of speciality coffee drinks like flat white, cappuccino and caffe latte made from coffee beans and fresh milk at the touch of a button and also comes with an industry-leading 3 year parts and labour warranty. Why not have a look at our Jura Giga video here? We also offer a range of filter coffee brewers, bulk brewers and traditional espresso machines in both 2 group and 3 group formats; rely on us for barista training and support or visit our Falkirk coffee machine showroom and coffee school. As you probably already know, in an espresso machine, the coffee beans are ground to a fine consistency and ‘tamped’ (pressed firmly) into a strong handle which is known as a group handle or portafilter, this is not unlike a very small and rugged saucepan. Once secured in the group head on the espresso machine by means of a quarter of a turn the machine’s pump is triggered to force water through the ground coffee at around 140psi (although at a low flow rate) and the result is this intense extraction. Milk heating, foaming and texturing are undertaken by the barista with the machine’s steam arms – this is a skill that takes practice but don’t worry – we train you on all of this! 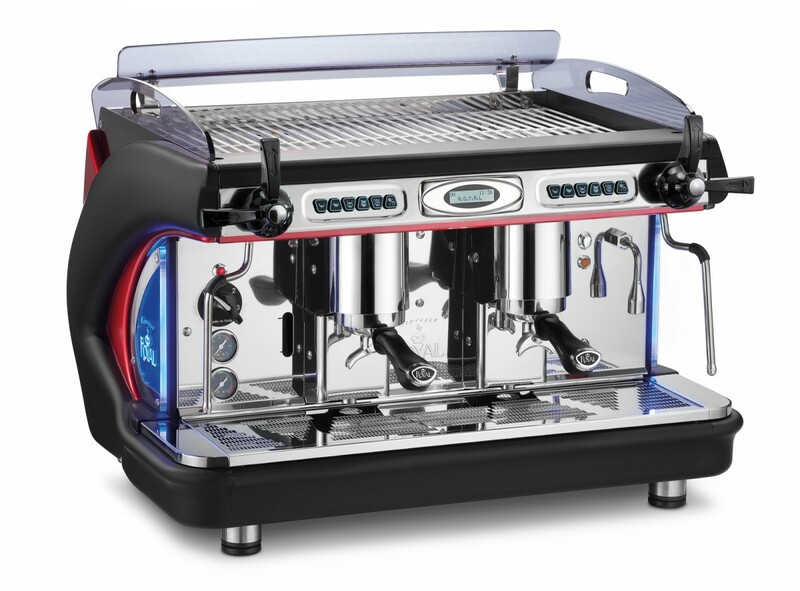 Strong points of espresso machines are smart looks that shouts ‘we sell good coffee’, good cup warming storage, good ‘theatre’ as customers can see the drink being crafted for them, good prices and robust performance. These coffee machines do take time to make a drink as well as quite a bit of skill acquired by practice, with a human operator (s) there can be a degree of inconsistency in the end product. It’s fair to say that traditional espresso machines are rare in the office setting as they are not really automated enough to be convenient for staff drinks. 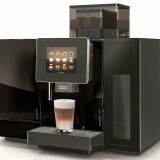 Installers of commercial coffee machines Lanarkshire with full operator and barista training. Suppliers of commercial coffee machine rental Scotland; contact us on 01324 617618 and visit our Falkirk coffee machine showroom. Coffee machine rental Scotland via our 3 year lease rental scheme spreads out the cost of acquiring your coffee machine and is also tax-effective. How Much Does Coffee Machine Rental Scotland Cost? 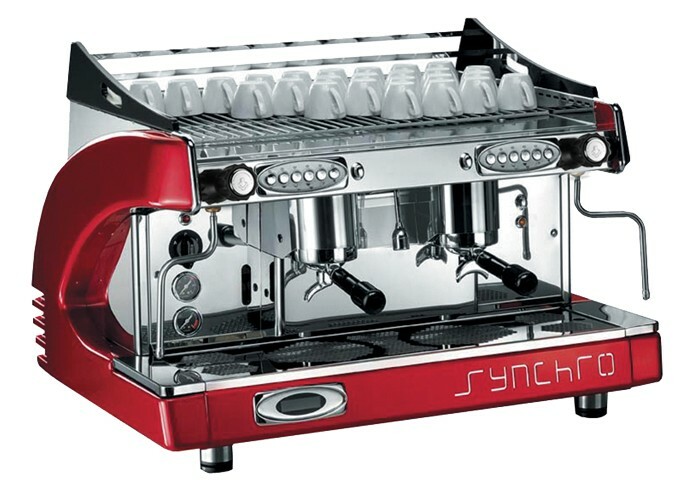 There is obviously a wide range of types and sizes of coffee machines and we offer 2 group and 3 group commercial espresso coffee machines; Esprezzi coffee machines for rugged and good value and Synchro for more choice of colours (red, orange, white and black) and the highest quality being built in Italy. 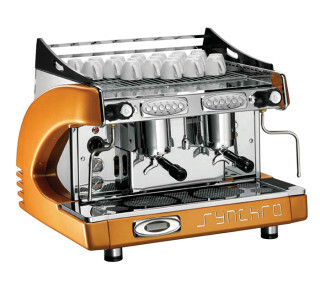 An example would be a typical compact espresso coffee machine would cost £2700.00 + VAT to buy and £95.00 + VAT per month to rent over 3 years subject to status. We also stock coffee grinders from Macap and Mazzer and generally would offer coffee machine rental Scotland as a complete package with barista training and water filter, free stock of coffee etc. 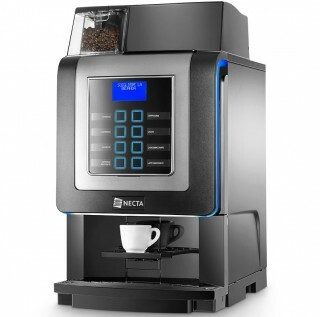 Jura bean to cup coffee machines are very popular coffee machines for offices and restaurants in Scotland. 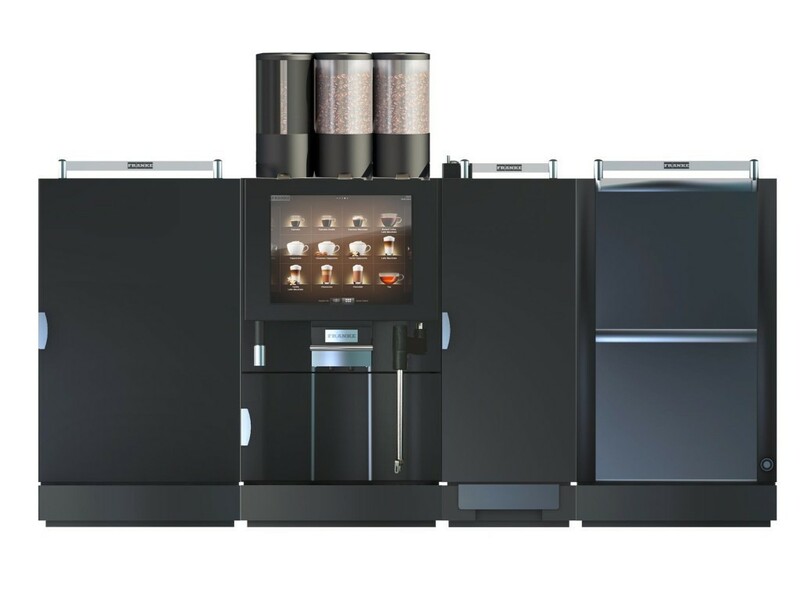 The Giga X3 has an excellent range of speciality coffee drinks made from beans and fresh milk and also comes with an industry-leading 3 year parts and labour warranty. Filter coffee machines are perfect for a jug of aromatic filter coffee – for catering or for office meetings; some use glass jugs and some use flasks and pump pots; we have a range of 8 different filter coffees in portion sachets that includes Fairtrade and Rainforest Alliance coffees. We also supply flasks, filter papers, decanters and filter coffee machine accessories in Scotland. We offer a range of filter coffee brewers for jugs and flasks; why not call in to our Falkirk showroom to discuss your needs? Specialist suppliers of commercial coffee machines on lease rental throughout Scotland in Greenock, Dumfries, Falkirk, Aberdeen, Dundee, Ullapool, Glasgow, Edinburgh, Stirling and Haddington. Suppliers of coffee machines Skye and Outer Hebrides in Portree, Dunvegan, Edinbane, Stornoway, Benbecula, South Uist, Harris and Lewis call us on 01324 617618 to discuss traditional espresso coffee machines, filter coffee brewers, table top coffee machines and bean to cup machines are suited to coffee shops and hotels. 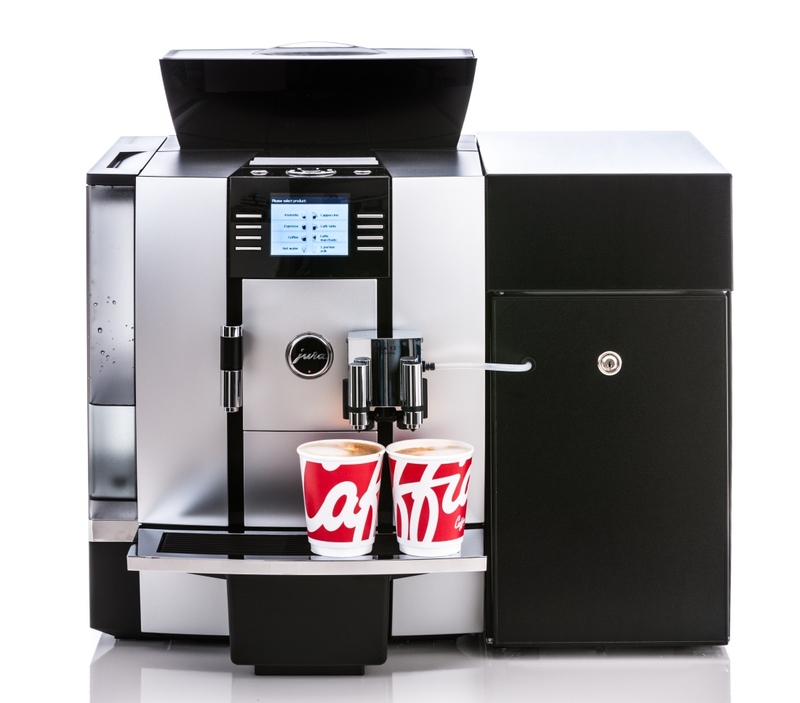 The Jura Giga X3 and Giga X8 Generation 2 range of bean to cup coffee machines with fresh milk are some of the most popular catering coffee machines in the wide Caffia Coffee Group range. The Jura Giga X3 bean to cup coffee machine has an excellent range of speciality coffee drinks made from beans and fresh milk like flat white and caffe latte and comes with an industry-leading 3 year parts and labour warranty from the manufacturer. Our catering bean to cup coffee machines are heavy-duty models and include the La Cimbali S39TE bean to cup coffee machine, the Franke A600FM FoamMaster from Franke Coffee Systems (and now the Franke A800), the Bravilor Esprecious bean to cup coffee machine (now with the new Esprecious 11L and 21L using fresh milk) and the new Necta Koro Max Prime coffee machines. Caffia Coffee Group has now installed several Franke A600FM FoamMaster bean to cup coffee machines with an excellent fresh milk system for heating and texturing the milk. 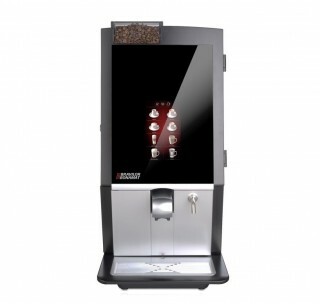 This is a very impressive self serve bean to cup coffee machine serving flat white, cappuccino, caffe latte, espresso macchiato and indeed even cold and foamed milk drinks with syrups at the touch of a button – for up to 300 cups per day. 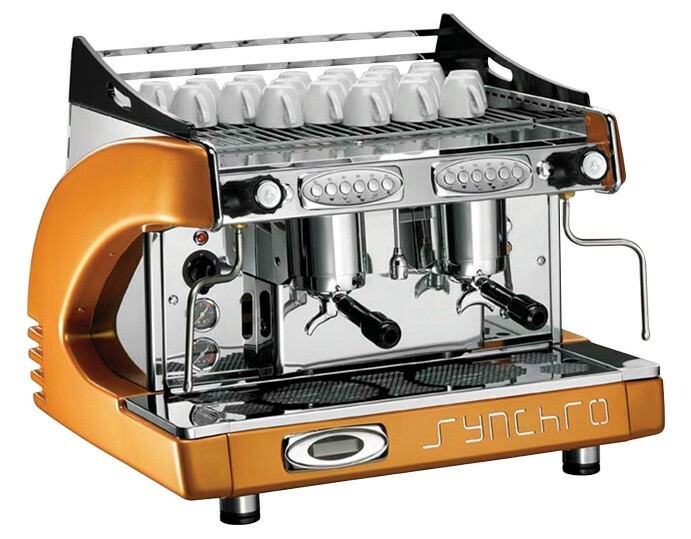 We also supply a wide range of traditional commercial espresso coffee machines like the orange Synchro 2 group machine that is shown below – we offer both 2 group and 3 group models from the Esprezzi and Synchro range and also Macap premium espresso grinders. 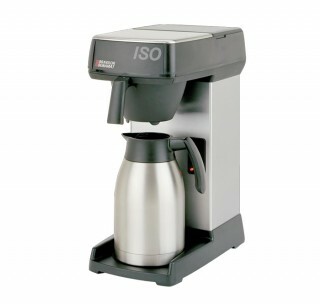 We must not forget good old filter coffee machines; we have a range of filter coffee machines which spans the simple 2 jug filter brewers, flask type brewers plus bulk brewers like the Bravilor B10 / B20 models, the new Marco Jet satellite brewer and even marine spec filter coffee brewers for ships. Suppliers of coffee machines Skye and Outer Hebrides. Here the Ferry from Skye to Raasay can be seen on a sunny day. A Scottish family business, we specialise in coffee machines Shetlands, Orkney and Caithness in Kirkwall, Brora, Thurso, Lerwick, Sumburgh, Wick and Stromness, call 01324 617618 to talk about your commercial coffee machines and grinder needs Our traditional espresso machines, filter coffee machines, bean to cup machines and cafetiere dispensers are found throughout the north of Scotland. The Jura Giga X3 bean to cup coffee machine has an excellent range of speciality coffee drinks like flat white, cappuccino, caffe latte and espresso made from Fairtrade coffee beans and fresh milk and also comes with an industry-leading 3 year parts and labour warranty. Why not have a look at our Jura Giga video here? We also offer a range of filter coffee brewers, traditional espresso machines and grinders to the Highlands and Islands area; rely on us for friendly barista training and support. As you probably already know, in an espresso coffee machine, the coffee beans are ground to a fine consistency and ‘tamped’ (pressed firmly) into a strong handle which is known as a group handle or portafilter, this is not unlike a very small and rugged saucepan. Once secured in the group head on the espresso machine by means of a quarter of a turn the machine’s pump is triggered to force water through the ground coffee at around 140psi (although at a low flow rate) and the result is this intense extraction. all us on 01324 617618 or visit our showroom of professional coffee machines Stirling and Falkirk, Callendar, Doune, Bo’ness, Denny, Plean, Grangemouth, Airth and Alloa to see bean to cup coffee machines, filter coffee brewers, traditional espresso machines, Macap coffee beans grinders and table top coffee vending machines are ideal for offices and coffee shops, hotels and farm shops in Central Scotland. The main aim of today’s coffee drinker in the Sirling and Falkirk area, in a pub, cafe or office, is a quality speciality coffee like flat white, caffe latte, cappuccino and espresso quickly and easily. This requires specialist equipment and training and a dedicated local supplier like Caffia Coffee Group. The two main broad roads to achieving this are with automatic bean-to-cup coffee machines or traditional espresso machines. The Jura Giga X3 and X8 range of bean to cup coffee machines with fresh milk are some of the most popular catering coffee machines in the Caffia range of professional coffee machines Stirling and Falkirk. 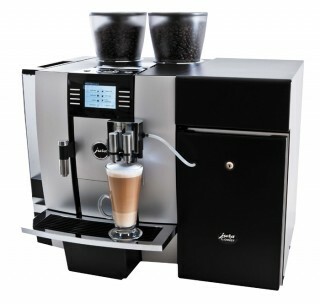 The Jura Giga X3 bean to cup commercial coffee machine has an excellent range of speciality coffee drinks made from beans and fresh milk like flat white and caffe latte at the touch of a button and these machines come with an industry-leading 3 year parts and labour warranty from the Swiss manufacturer. 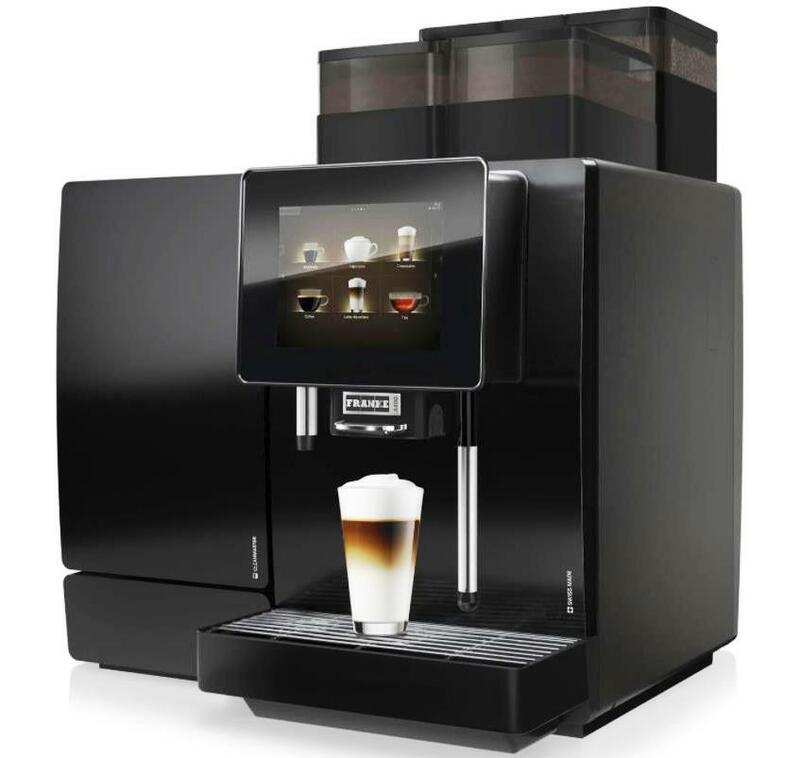 We offer other heavy-duty bean to cup coffee machines including the A600FM and A800FM FoamMaster from Franke Coffee Systems, the La Cimbali S39TE Bean To Cup machine, the Bravilor Esprecious bean to cup coffee machine for offices and caterers (which uses powder milk and powder hot chocolate, we have a demo of this machine available) and the new Necta Koro Max Prime coffee machines. The Franke A600FM is a very impressive self serve bean to cup coffee machine serving flat white, cappuccino, caffe latte, espresso macchiato and indeed even cold and foamed milk drinks with syrups at the touch of a button – for up to 300 cups per day. 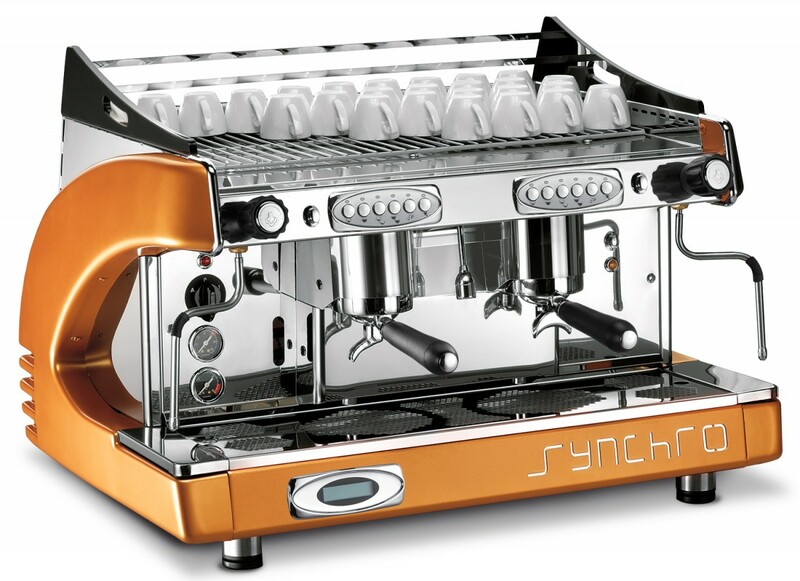 We also supply a wide range of traditional commercial espresso coffee machines like the orange Synchro compact 2 group machine that is shown above – we offer both 2 group and 3 group models from the Esprezzi and Synchro range and also Macap premium espresso grinders. It doesn’t stop there though! We always supply both full barista training and also water softener filters for your catering coffee machines. See our Falkirk coffee machine showroom on Google Maps here. Suppliers of professional coffee machines Stirling and Falkirk, Alloa, Callendar, Bo’ness, Grangemouth and across Central Scotland. Below: The now famous ‘Kelpies’ sculptures at The Helix development, Falkirk. 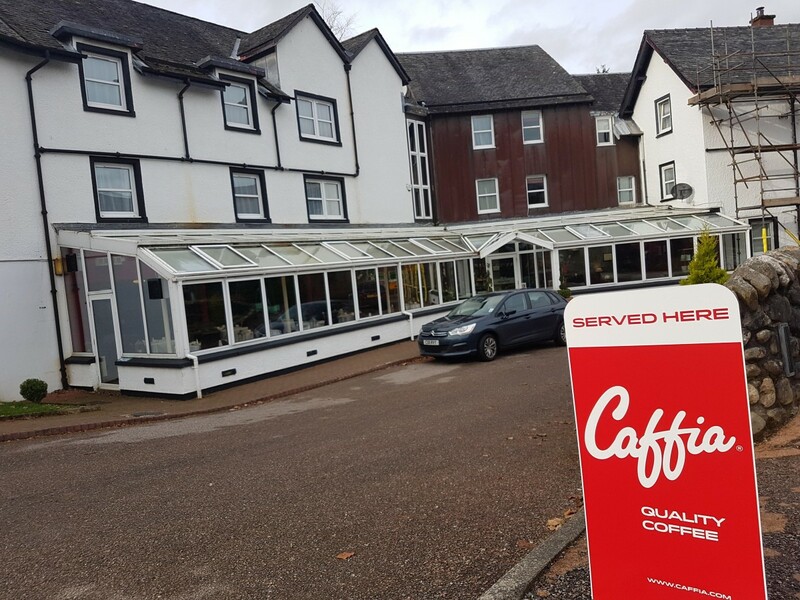 We supply coffee machines Perthshire in Perth, Pitlochry, Aberfeldy, Auchterarder, Blairgowrie, Fort William, Newtonmore and Mallaig; please call on 01324 617618 to talk about your needs. 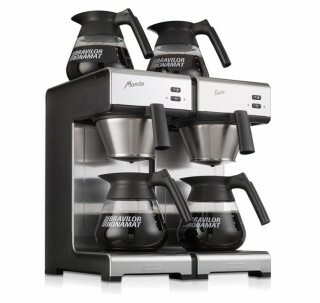 The Jura range of premium Swiss bean to cup coffee machines which are some of our favourite machines along with 2 group and 3 group traditional espresso machines and grinders, fresh filter coffee machines and cafetiere dispensers. The Jura Giga X3 bean to cup coffee machine has an excellent range of speciality coffee drinks made from beans and fresh milk and also comes with an industry-leading 3 year parts and labour warranty. Why not have a look at our Jura Giga video here? As you probably already know, in an espresso machine, the coffee beans are ground to a fine consistency and ‘tamped’ (pressed firmly) into a strong handle which is known as a group handle or portafilter, this is not unlike a very small and rugged saucepan. Once secured in the group head on the espresso machine by means of a quarter of a turn the machine’s pump is triggered to force water through the ground coffee at around 140psi (although at a low flow rate) and the result is this intense extraction. Also consider that these coffee machines do take time to make a drink as well as a bit of skill acquired by practice – also with a human operator (s) there can be a degree of inconsistency in the end product. It’s fair to say that traditional espresso machines are rare in the office setting as they are not really automated enough to be convenient for staff drinks. Coffee Machines Perthshire, Angus, Tayside and Fife. We supply commercial coffee machines Scottish Borders; please call on 01324 617618 to discuss your exact needs for coffee machines in Kelso, Melrose, Galashiels, Peebles, Eyemouth, Berwick Upon Tweed and Jedburgh – we will be pleased to discuss your requirements. 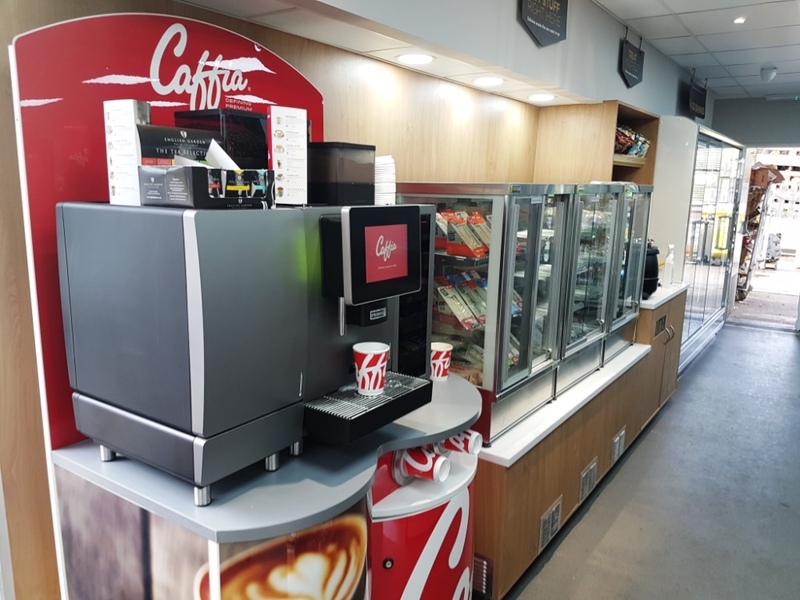 As you can see this is a remarkably user-friendly machine as a self-service coffee machine for petrol stations, large offices and university catering departments needing coffee machines Scottish Borders and Northumberland. The Jura Giga X3c bean to cup coffee machine has an excellent range of speciality coffee drinks made from beans and fresh milk at the touch of a button and also comes with an industry-leading 3 year parts and labour warranty. The Jura range of premium Swiss bean to cup coffee machines which are some of our favourite machines along with traditional espresso machines and grinders, fresh filter coffee machines and cafetiere dispensers.Why not have a look at our Jura Giga video here? We also offer a range of filter coffee brewers, traditional espresso machines and grinders; rely on us for friendly barista training and support and quick deliveries all over Scotland and North England. Milk heating, foaming and texturing with a traditional espresso coffee machine are undertaken by the barista with the machine’s steam arms – this is a skill that takes practice but don’t worry – we train you on all of this! 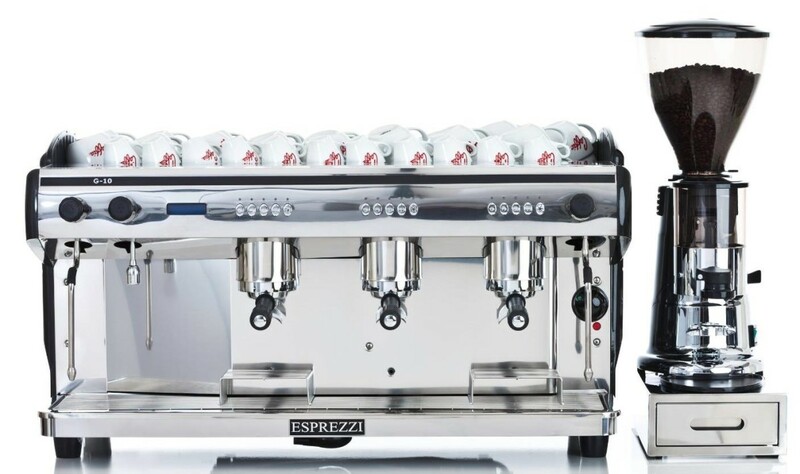 The strong points of espresso machines are the smart looks that shouts ‘we sell good coffee’, good cup warming storage, good ‘theatre’ as customers can see the drink being crafted for them, good prices and robust performance. This picture shows Scott’s View in the Scottish Borders near Melrose.